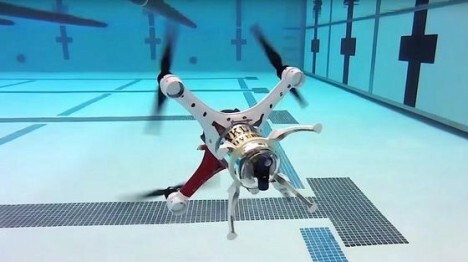 Some drones fly in the air, others zoom across or through the water, but this rare hybrid does both with graceful ease, diving underwater then returning to the skies on demand. 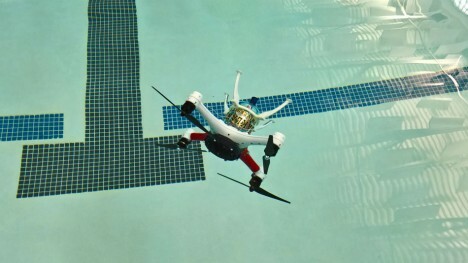 Created by Oakland University’s Embedded Systems Research, the Loon Copter works much like a regular flying drone, and can also land and float easily on the water thanks to a bouyancy chamber filled with air. 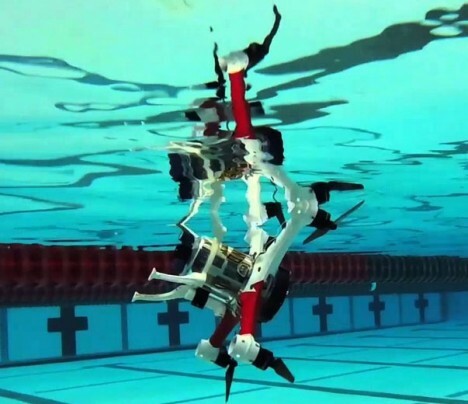 However, it can also fill that chamber up, allowing it to sink, then flip its rotors to propel it through the water. To fly, it ejects the ballast and goes airborne again. Faster than a submarine, it can scout in the water, then return to and hover above the surface for rescure or recovery operations.